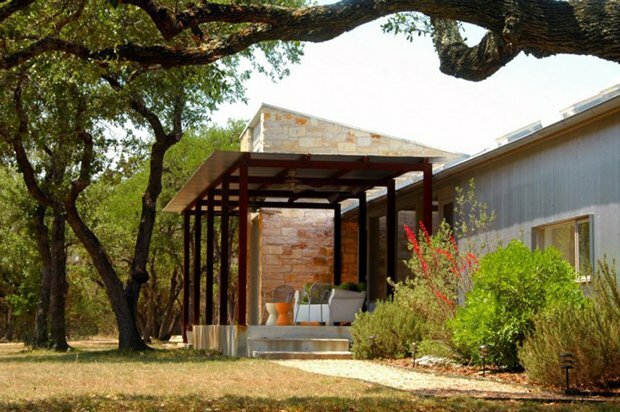 Located in Cedar Park, Texas, this residence and workspace was design by Architect Nick Deaver. 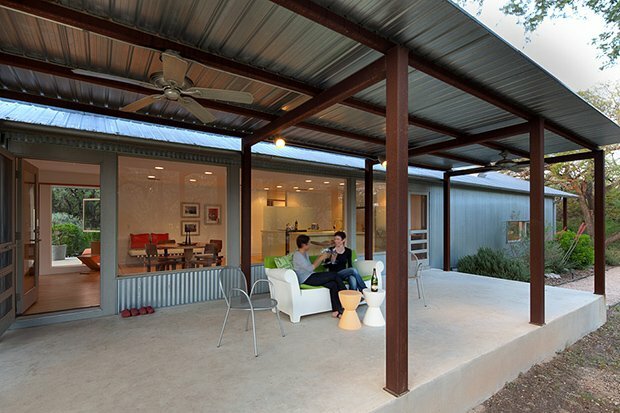 The interesting features of this house are its materials and strategic planning. 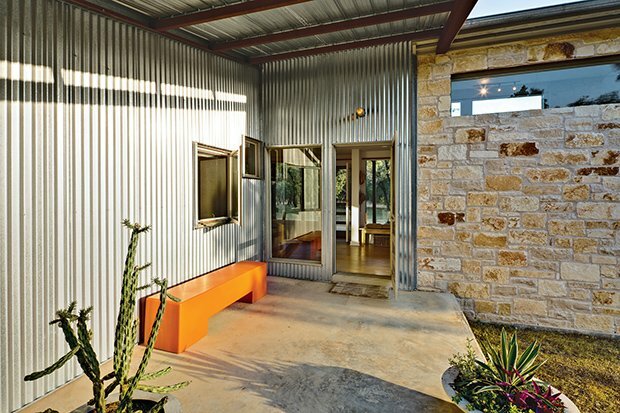 The house uses corrugated galvanized metal, steel, and concrete that need little maintenance and are suited to endure the subtropical weather. 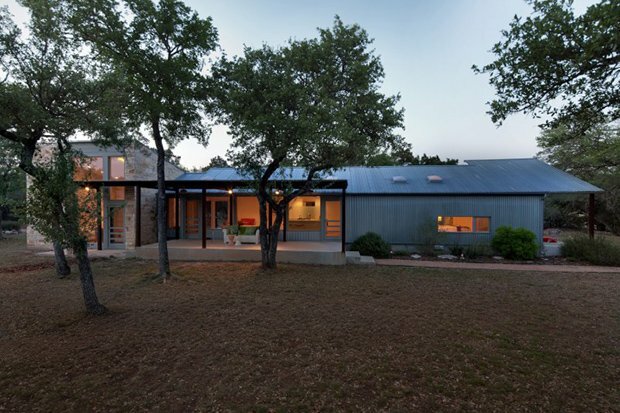 The planning of the house is made to take advantage of natural light and ventilation with its screen doors and windows, skylights and porches. 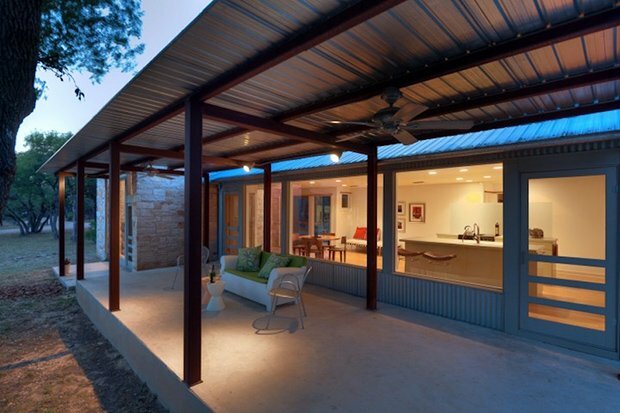 Take a look at these photos and then tell us what you think on our Facebook Page! 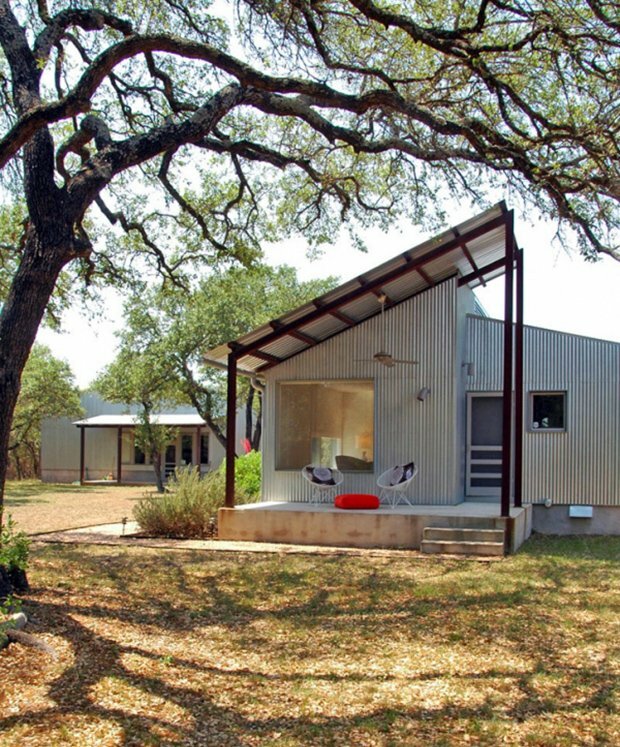 An abandoned shed lost in a thicket of cedar and live oaks was set on a modern path by a novice builder and architect friend who were inspired to restore the neglected landscape and build a home belonging to it. 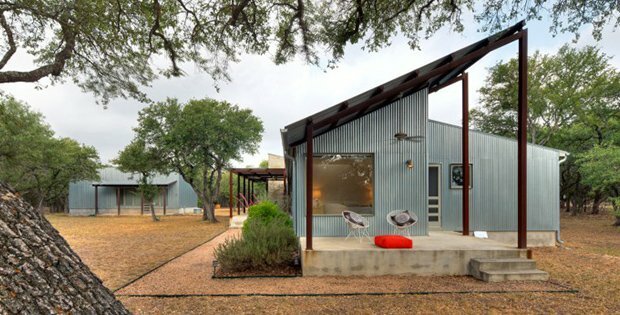 Set in a secluded and rugged south central Texas landscape, Walkabout is a residence and workspace for a couple creating an (environment friendly) on-line pet store and seeking a slower wilder and untamed life. 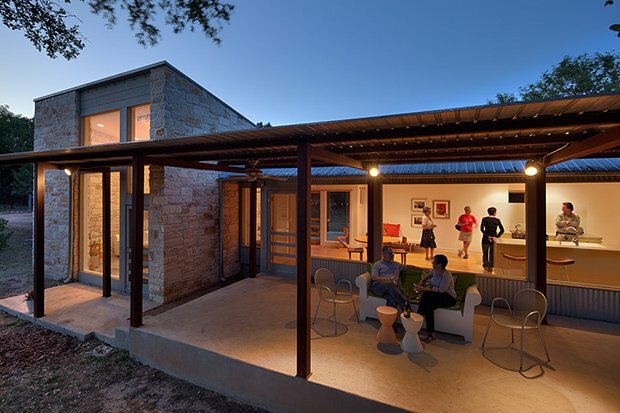 Important aspects of the new complex are a companion works studio, a cool limestone den, and porches facing morning, noon, and night.